The Memorial Garden began in 1937 and is Arden’s cemetery, located on the south side of Harvey Road next to the old Grubb family burial ground. The Community Planning Committee administers the Memorial Garden through an appointed volunteer, the Memorial Garden Representative. 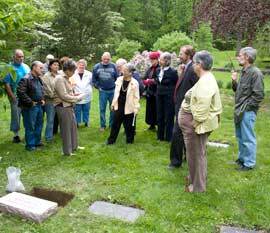 Click here to see the Arden Memorial Garden Rules as an RTF text document. Click here to see a Google Map of The Ardens.